Note: This venue is now permanently closed. Folks in the CBD have it good. 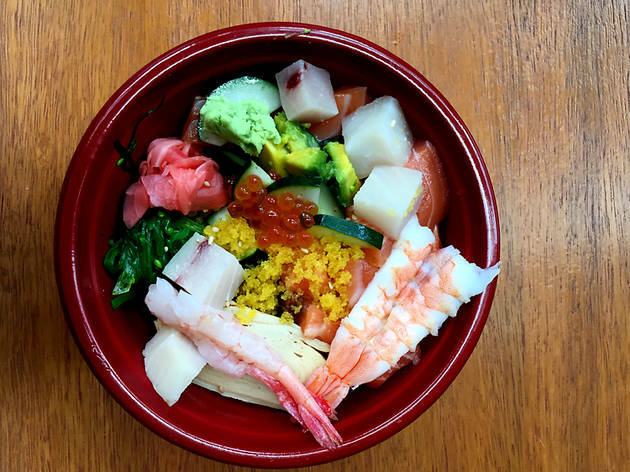 The bara chirashi at The TuckerBox Lunch starts at $8.80 for a bento of salmon, shrimp, ikura, tobiko, sweet beancurd skin and shiitake mushrooms over sushi rice. There are more premium options at $12.80 and $15.80, too. If you'd rather your Japanese food cooked, there are also donburi items such as teriyaki salmon don ($10.80) and chicken katsu don ($8.80). Great recommendation!!! 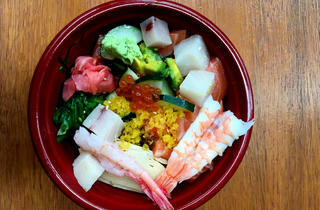 The chirashi was cheap and very fresh quality toppings of salmon, Swordfish n other mouth-watering bits. Love love it!!! I'm going back again tomorrow! !